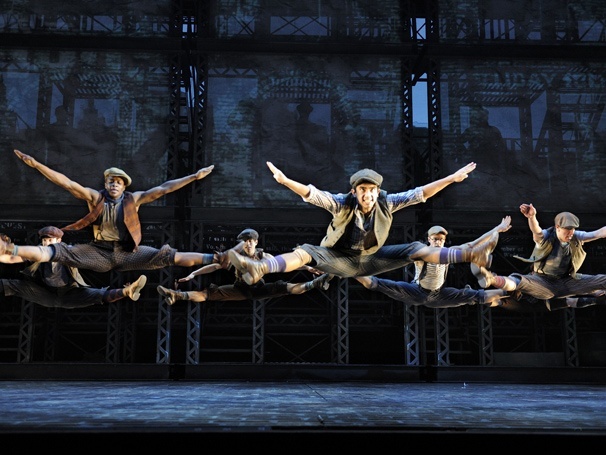 The show, NEWSIES, is what Broadway is meant to be – poetry in motion. It has all the elements working together to create an extraordinary experience. No wonder it won a Tony for music and choreography – they bring the book to life and weave story, power and emotion into a frenzy that keeps the audience engaged and applauding enthusiastically. I’m among the regular whoopers at the end of a powerfully performed number. I can’t contain myself – the emotion has to go somewhere so why not channel it into my hands and out of my mouth! The cast appreciates the appreciation and I don’t have to explode. Win, win right? Newcomer Corey Cott plays the vulnerable lead in Jack Kelly. Fresh out of Carnegie Mellon University, Corey landed this role as his Broadway debut. Not too shabby. And he’s great too. He has a lovely tenor voice that needs a bit of strengthening to project more powerfully into the audience. But I suspect that will come with practice. 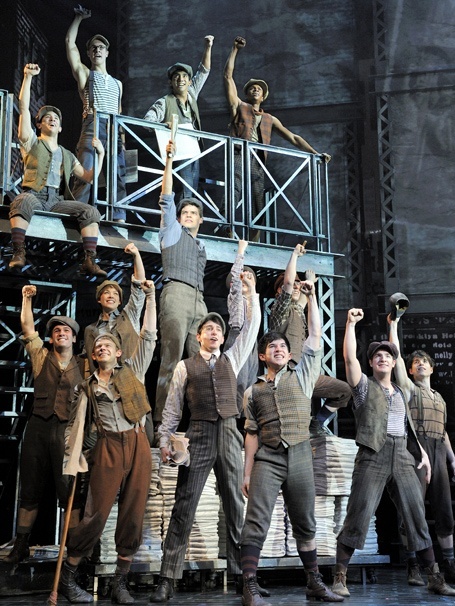 In fact, all the fellows who play the news boys are terrific singers and dancers who bring to life the struggle of trying to make a buck as little guys against big business. These guys win in the end – and oh how good that feels! Here’s a number from the show. The writing team of Harvey Fierstein (book), Alan Menken (composer) and Jack Feldman (lyrics) is dynamic and magical. I always marvel at how the strongly produced musicals seamlessly weave those vital elements together. It’s a mystery to me and one that continually fills me with awe. The set is so inventive and useful as it is continuously reconfigured to move the story along in place and for dance numbers. Direction is tight and purposeful. And the performers are top-notch! 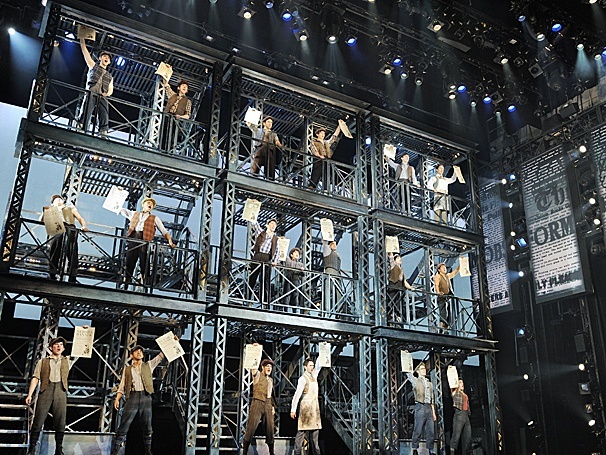 NEWSIES is Broadway musical at its best. What an exhilarating way to spend an evening! How is it remotely possible that NICE WORK IF YOU CAN GET IT won the Tony for best musical?! Crazy! Hmm it seems like your site ate my first comment (it was extremely long) so I guess I’ll just sum it up what I had written and say, I’m thoroughly enjoying your blog. I too am an aspiring blog writer but I’m still new to everything. Do you have any tips and hints for novice blog writers? I’d really appreciate it. Frankly, I’m a novice blogger too. Good luck!